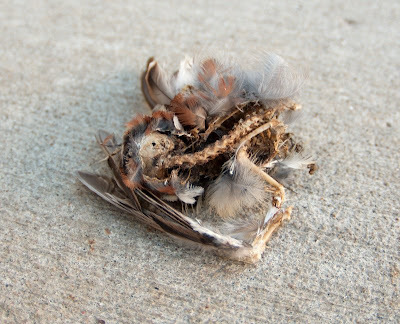 I was walking home this afternoon and came across the remains of a small bird on the sidewalk. It seemed forlorn and rather poignant, just laying there dead while the rest of the world bustled by, not noticing. After I was done taking these photos, I put the bird in a snowbank and covered it with snow. 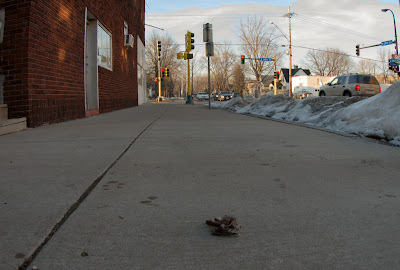 It seemed wrong to just leave it in the middle of the sidewalk to be trodden on. I came across a dead bird on campus a few months ago in the middle of the sidewalk, and regretted not taking the time to push it to the side.